Police found 10-year-old Emani Moss’s burned body in a trash can several days after she was starved to death at the hands of her father and stepmother, Eman and Tiffany Moss. After a tip from a school employee, social services had intervened in Emani’s family three years earlier, removing her from her parents’ home for a brief period in early 2010. Two individuals, presumably Emani’s father and stepmother, were required to take anger management courses and Emani was returned to the home on social services’ determination that the risk of harm was reduced. 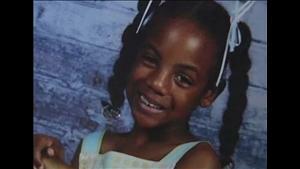 Emani’s case was closed in November of 2010. In May 2012, school officials reported welts that were found on the girl, but social services determined the marks were the result of legal corporal punishment. That summer Emani’s parents withdrew her from school to homeschool her, and the girl was not seen again by either school officials or her relatives.